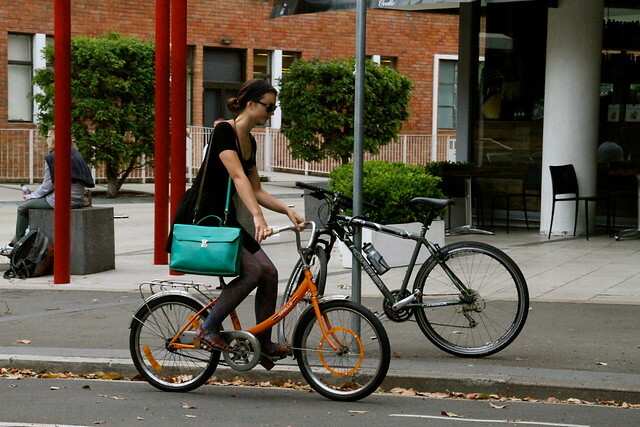 Sydney Cycle Chic: Heels, Bike, Action! Mmmmmm. Turquoise bag, orange bike, cute shoes - looks like Summer's almost here!